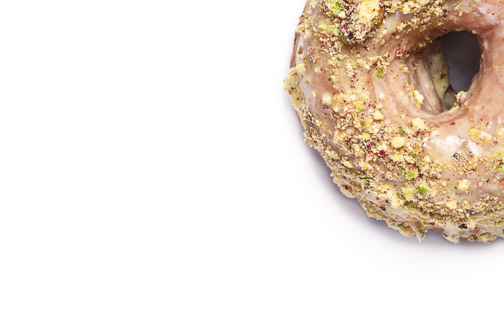 I nearly forgot about these commercial food photographs I took for Suzy Q Doughnuts here in Ottawa last year. The shop is only a few blocks away from where I live. I was their second customer when they opened up and did as much as I could to recommend the crap out of them to make sure I would have a successful and steady stream of steaming delicious doughnuts directly down my street. I was also fortunate enough to be their choice of commercial photographer for a number of projects, one of which being some high-resolution images of their product. I knew going into the shoot that I wanted to isolate the food from all other elements. I already had a few standard “shallow depth-of-field” row of doughnuts type of photos that would work well on a Pinterest board. What I wanted to create for Suzy Q was a great commercial photograph that they could apply to a number of uses like their business card, website, and other promotional material. 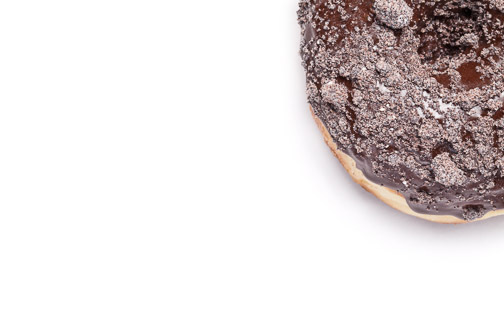 I also chose to crop out the other sections of the doughtnuts for the bulk of the images. 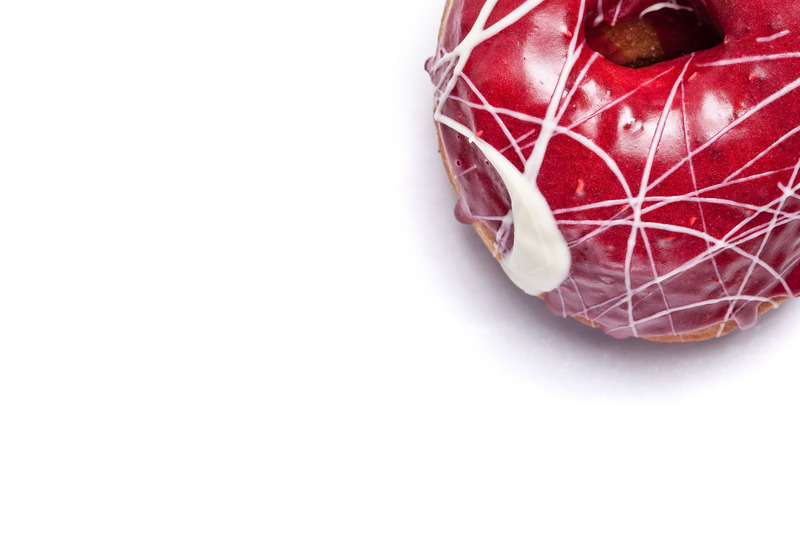 Forcing the doughnut into the corner of the frame really helped me concentrate on the best section of detail. Yes, I could have shot the whole thing and cropped it down later, but I’m a big fan of getting things in-camera, and during the shoot presenting them this way up front helped free me creatively when positioning the food. The best part? Obviously, after handling a bunch of food, it can’t go out for sale so I didn’t have to worry about getting too hungry during the shoot. 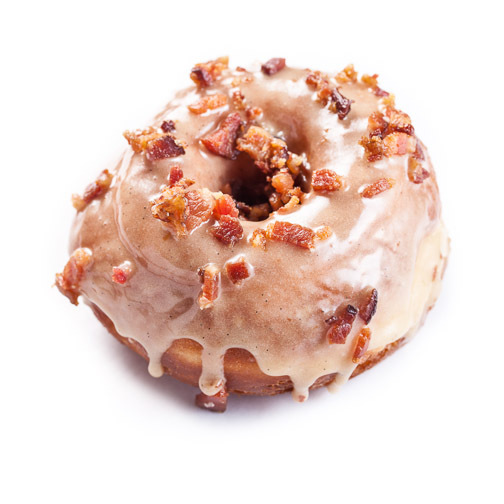 I’m pretty sure Maple-Bacon counts as a meal, right? I did produce a few full-size images, as you can see, but I still prefer the overhead shot. It’s somehow more appetizing to me too. 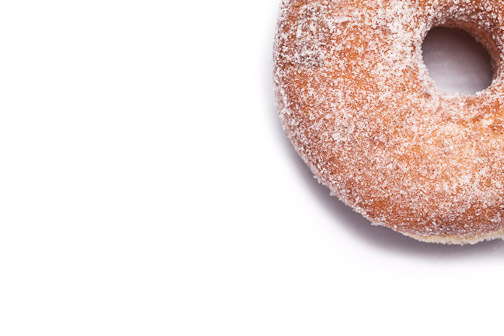 Like, maybe, the other 3/4s of the doughnut is already eaten. I can just taste the lemon pistachio now. Suzy Q doesn’t always produce the same doughnuts either, so a few that I shot they haven’t been produced since then. Others are a bit more seasonal. Since “peppermint” is more socially acceptable around Christmas than, say, June. 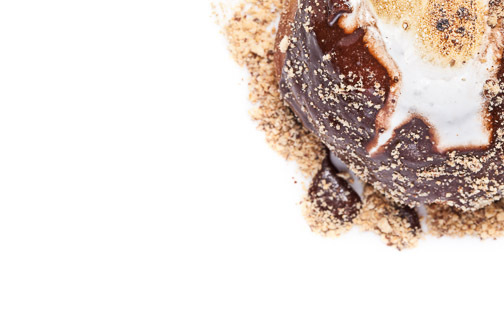 One of my favourites at the time, a pure indulgence, were the s’mores doughnuts, with their own vegan marshmallow fluff burnt slightly at the top. 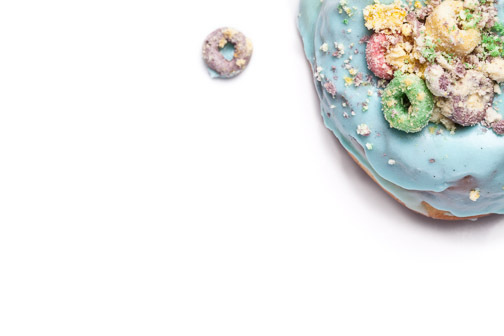 The whole thing doesn’t even look like a doughnut when you look at it from above. Suzy Q has been one of my favourite new shops to open up in my neighbourhood (and believe me, there have been many), and they’ve also been an incredible client, giving me creative freedom with their product and co-producing some great imagery that I can only hope they get to put to better use now that Ottawa’s JackPine Digital Inc is working on their branding. Posted on Thursday, December 19th, 2013 at 12:07 pm. Filed under: Commercial, Product Photography Tags: Commercial, Food, Hintonburg, Macro, Ottawa, Product Photography, Suzy Q Doughnuts, Wellington West	RSS 2.0 feed.